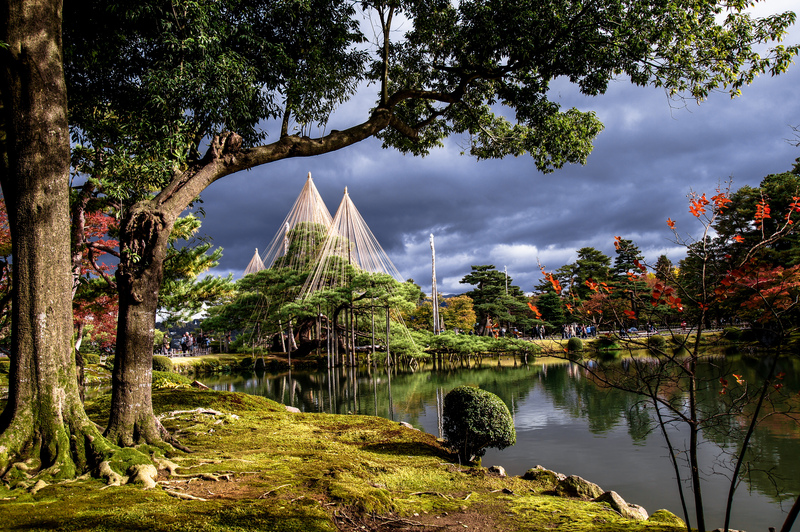 Kenrokuen is a very famous Japanese garden. Taken on a rainy day in November whilst holidaying in Japan, this photograph reminds me of the different cultural concepts of nature and gardening. The strikingly beautiful supports on the pine trees in the background of the picture show a dramatically different approach to maintenance – making something rather mundane into something beautiful, part of the picture.